My latest video is now available to watch by clicking the link below. 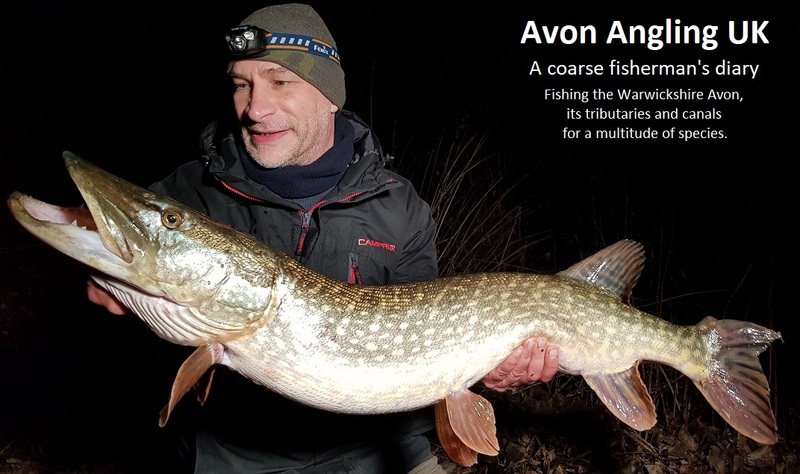 The plan had been for an evening session trotting the Avon over the road from home. The target being roach, chub...well, and anything else that happened along really. 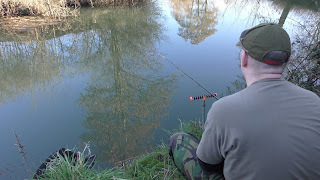 However, due to the unseasonably warm and sunny weather the family had other ideas for a Sunday afternoon and given the less than conducive weather conditions I was happy to go along with the plan. 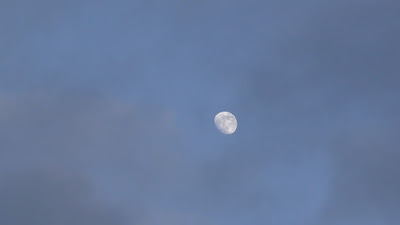 I was still keen to get out to the bank so decided Monday afternoon/evening would be a suitable substitute but with weather still remaining fair I decided that the trotting would be best left for more suitable conditions. 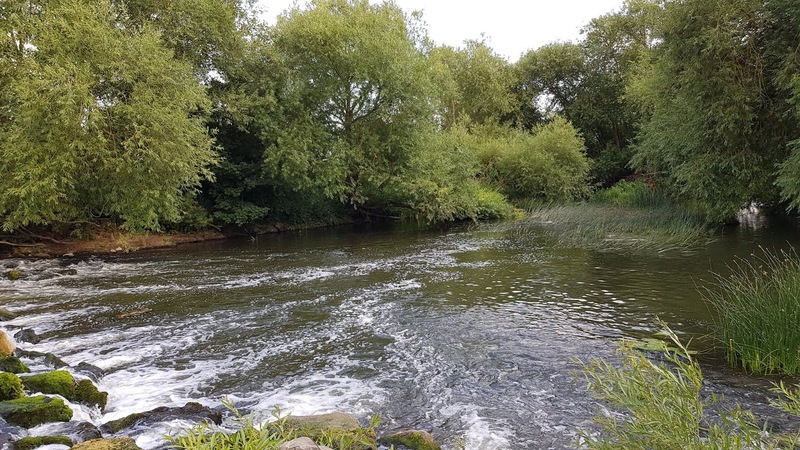 That being the case I made my way after work to the small river I've been frequenting recently, albeit to an area I had only fished once before and even then only roving in a few swims. This time would be different and I would attempt to do the entire stretch. 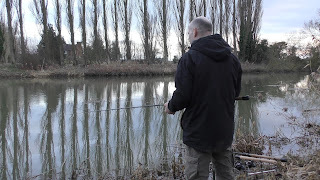 It is always my preference to walk to the furthest end of the stretch and work my way back towards the car, especially carrying the videoing equipment which is part of my fishing these days, which in itself constitutes about half the weigh of my gear. Getting the long walk out of the way first to be replaced with a punctuated ramble back is definitely the more enjoyable way to proceed. So this I did. Having not even laid eyes on the majority of these swims previously they were a sight to behold for an angler...overhanging trees, rafts of debris, bends, deep glides. I was in heaven. The rod was quickly assembled. Link-leger, bread flake, mashed bread and lobworms would be my mainstay with maggots and pellets at hand as a backup. Unfortunately all the promise did not come to fruition and I fished 4 or 5 swims without even the merest knock on the quiver tip or any interest in the baits. I consoled myself that this was to be expected in the blazing sunlight. 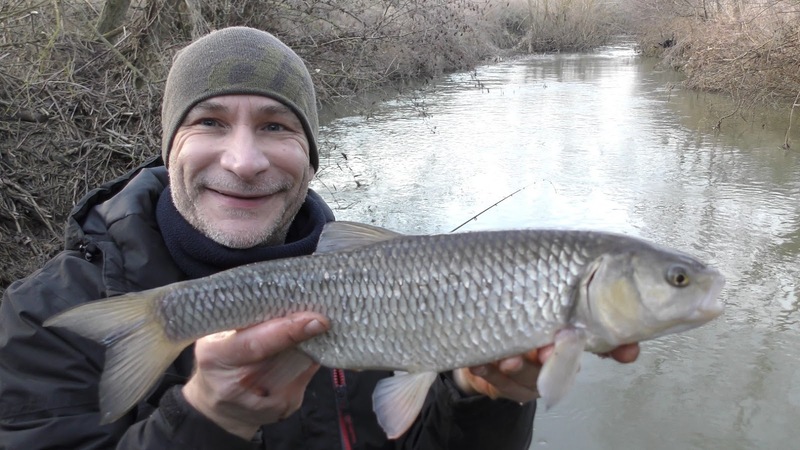 I rounded a bend to find a fast moving pool below a shallow section and it was here that the quiver tip finally twitched and after a spirited fight a juvenile chub graced the landing net. Finally! 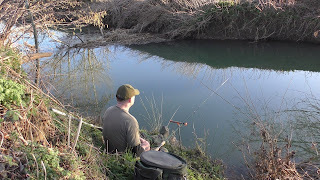 By this time the sun was beginning to set and the river came alive, small fish topping seemingly everywhere. I moved to the next swim where the flow in a deep pool was punctuated by a tree on the far bank. 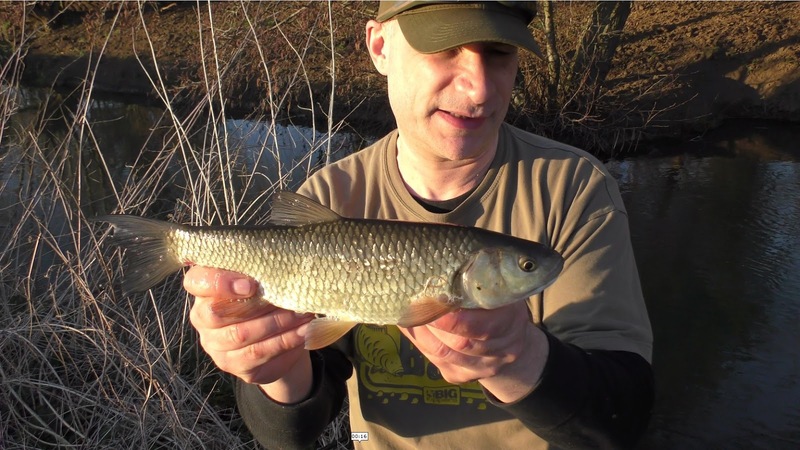 There was immediate interest in the bread flake here and after a couple of tentative plucks a small chub was banked. With nothing further for the next five minutes I pressed on. 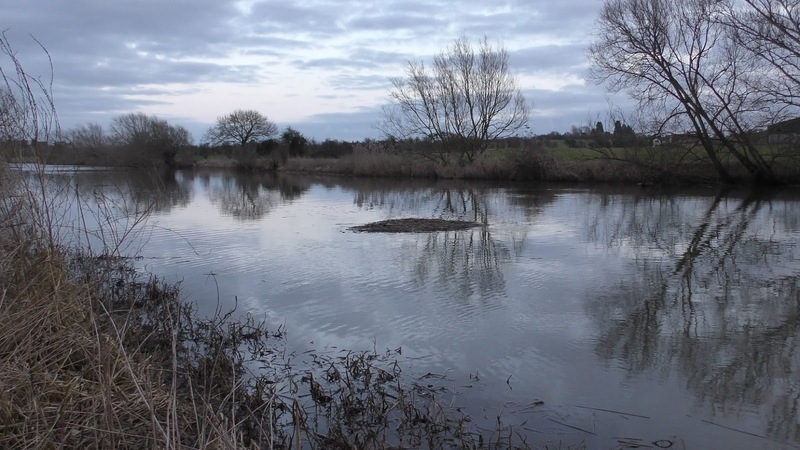 As twilight slowly took hold I dropped into a swim downstream, flicking a piece of breadflake towards and overhanging tree and raft on my own bank. Ten minutes was allocated before I was to move on but after only a couple I was distracted by, in my opinion, one of the most wonderful sights in nature. 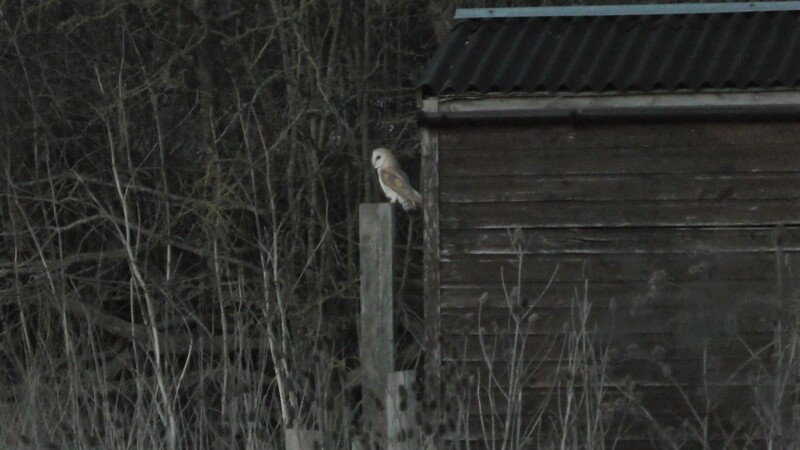 That of a barn owl hunting over a meadow. Truly awesome. A tap on the rod top bought me to my senses but it came to nothing. A recast was in order and in followed four tiny balls of mashed bread. 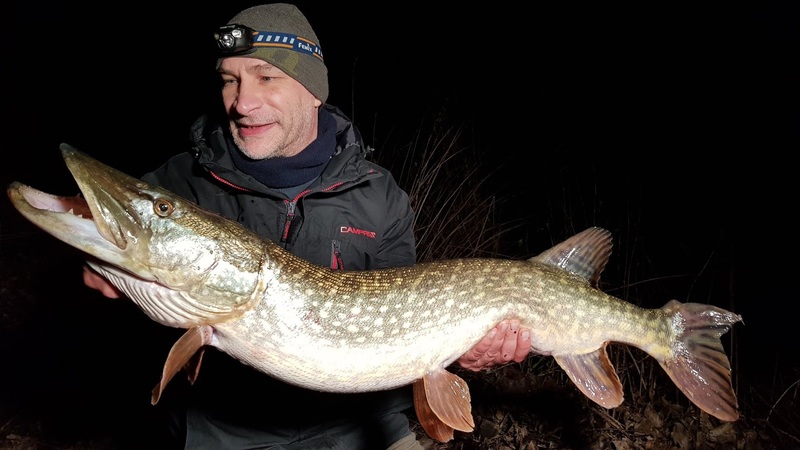 Within a few seconds the quiver tip danced into life and the rod arched over as it only does when attached to one of the larger residents of this small waterway. I was clearly connected to a chub as it made tracks for every snag in the swim but before too long it was subdued. What a stunning fish it was. 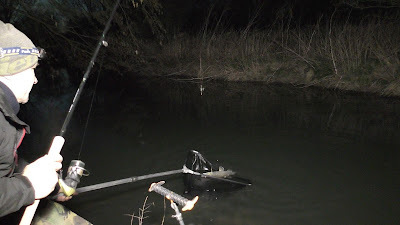 With that I moved on with just about enough light remaining to find my way without the use of a head torch, settling into a tight swim where there was just enough room for an angler, his rod and camera. With the minimum of light and disturbance a piece of breadflake was flicked into the darkness, followed, once again, by some tiny balls of mashed bread. I sat there in the gloom, watching my rod tip which was illuminated by a small torch, contemplating how any fish could find a piece of breadflake in the blackness. Just as this thought crossed my mind the tip twitched and pulled round. 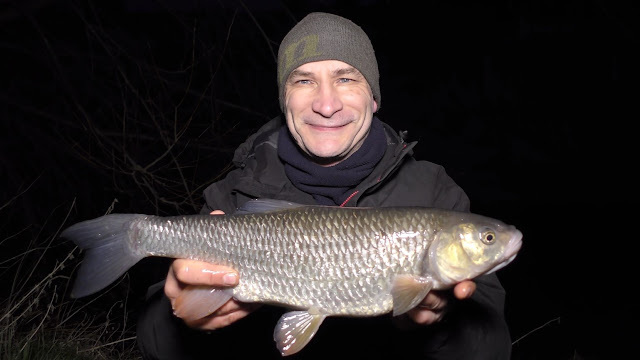 I struck and happily connected to another chub of decent proportions whose fight in the camera light did justice to its stature...however before it could find sanctuary in the maze of tree roots protruding into the water at my feet it was safely ushered into the landing net. I fished another swim for a few minutes but by this time it was getting very cold and I had stayed longer than intended. I had really enjoyed a productive session and was happy to make tracks for home. My latest video is now available to watch by following the link below. 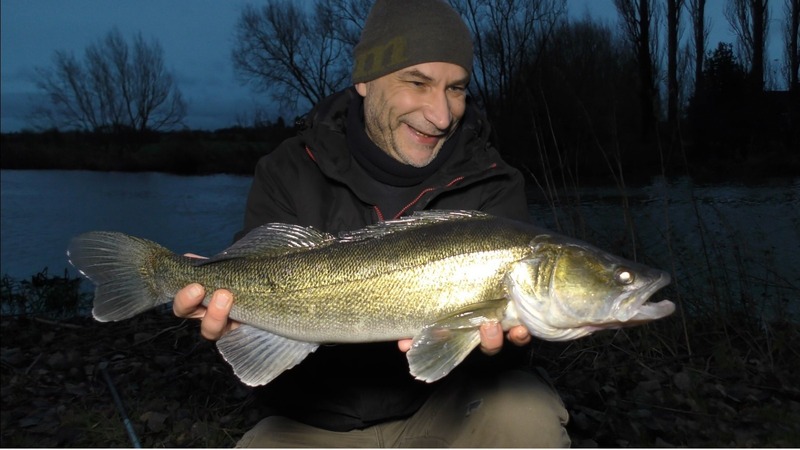 I was a weekend angler for many, many years so I am aware of its limitations and sympathise with the predicament many anglers find themselves in. 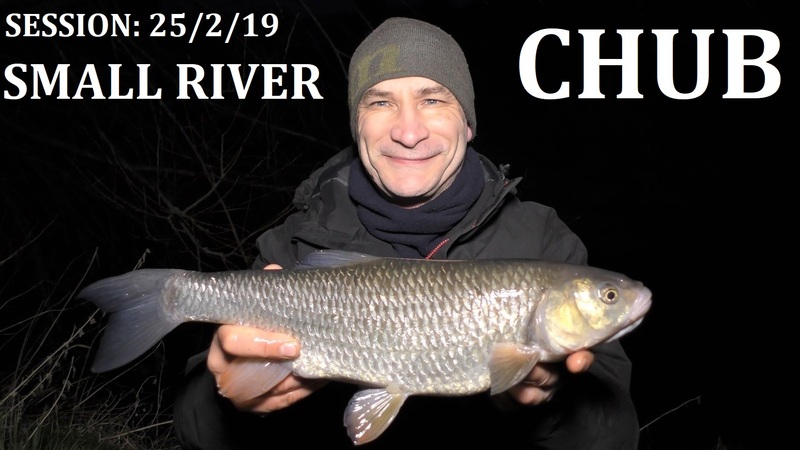 Prior to being able to drive at the age of seventeen and subsequently when living too far from a river to make midweek sessions viable (working a nine to five job, Monday to Friday) weekends were my only option. Often racing to the bank on a Friday night to ensure getting to THE swim before anyone else. These days I find myself in the very, very fortunate position to live a matter of a hundred metres from the banks of the middle reaches of the Warwickshire Avon and boy do I appreciate it. 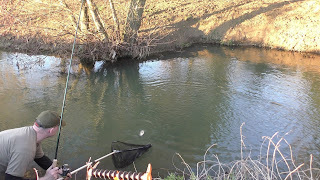 The ability to get to the river at a moments notice and fit my fishing in around the weather, water conditions and, of course, my young family. 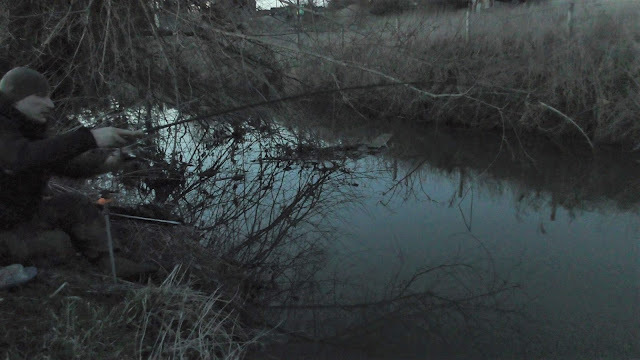 I am very lucky that I have no need to fish for hours on end, during barren periods of the day, waiting for the most productive time at dusk when the invisible switch is flicked on the fish's appetite. 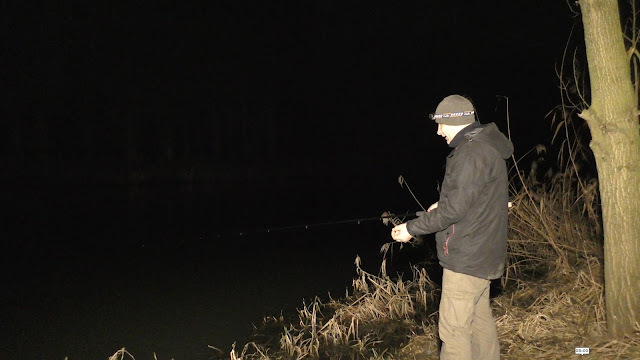 I can simply pop over the road for a couple of hours before dark, keeping the angling cold turkey at bay at the family happy too. 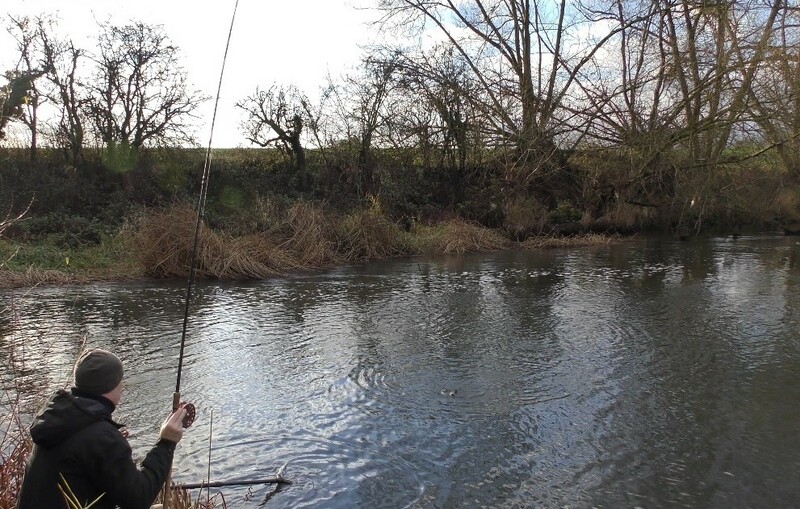 It is for that reason that I have made it a habit not to fish at weekends. 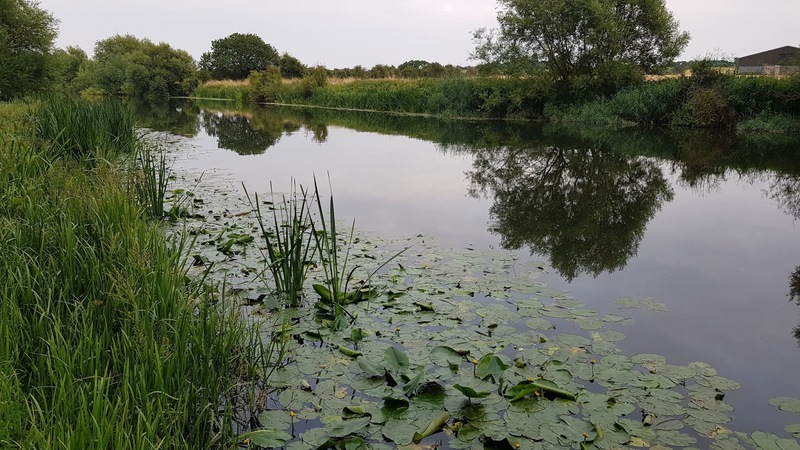 I value my fishing sessions and, of course, want to catch fish but there are other factors at play too, namely peace, solitude and the feeling of being at one with nature. Something that is hard to find at the weekend. I put huge store on these, often to the detriment of catching large or multiple fish. I would rather catch less on my own terms and on barely trodden banks than join the melee. I enjoy angling...catching is merely the icing on the cake, not the be-all-and-end-all. However, for this session I decided to break my own rule. What a fool. Things started off badly and got progressively worse. Saturdays are a busy family day and I can't generally get free until 3pm. 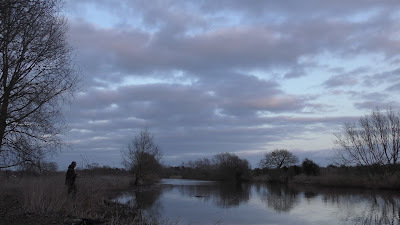 Not too bad with still time to get to the river before dark but on this occasion several holdups saw us not not arrive home until nearer 4pm. A bit annoying but not the end of the world. Just before we reach home I am able to see the section of river I have been targeting recently for predators. As I glanced over on passing I could see a large and not very narrow narrowboat stopped close in to the bank. Very strange I thought, I hope they haven't broken down. "They'll be in the way" I chuckled to myself. 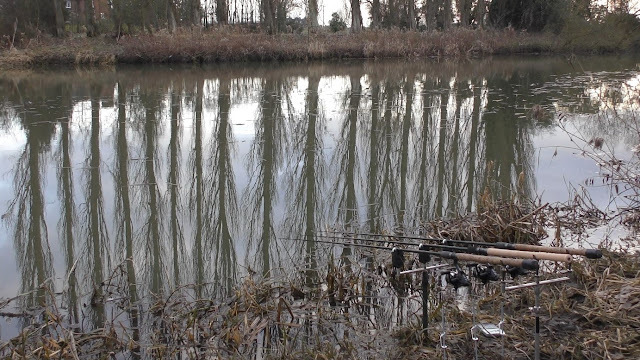 A few minutes at home saw me grab the gear and get bankside to find the interlopers gone. Fantastic. Oh, hang on a minute. 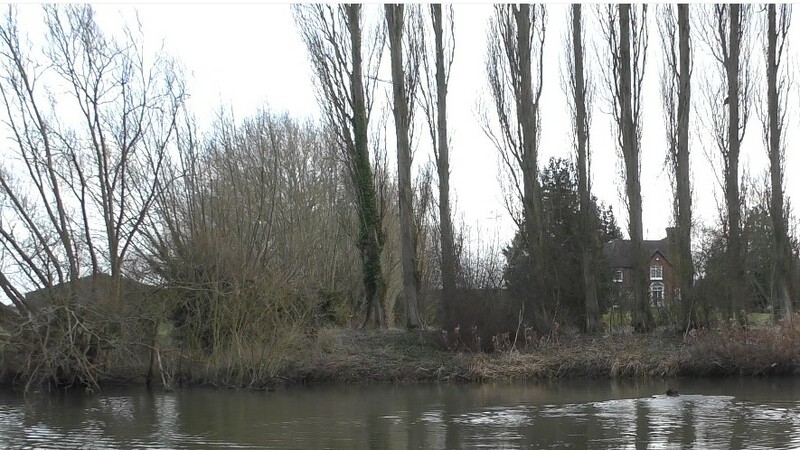 On closer inspection I could see they had left the vicinity via the bankside vegetation, as far as I could see upstream, churning the water and destroying what was left of the marginal reeds. The result was a continual conveyor of sticks, branches, reeds, grass, plastic bottles. You name it, it had been disturbed and was floating past me. I nearly turned tail and headed for home but I had arranged to meet an occasional fishing mate there and he was travelling a distance so couldn't just abandon him amidst the carnage. 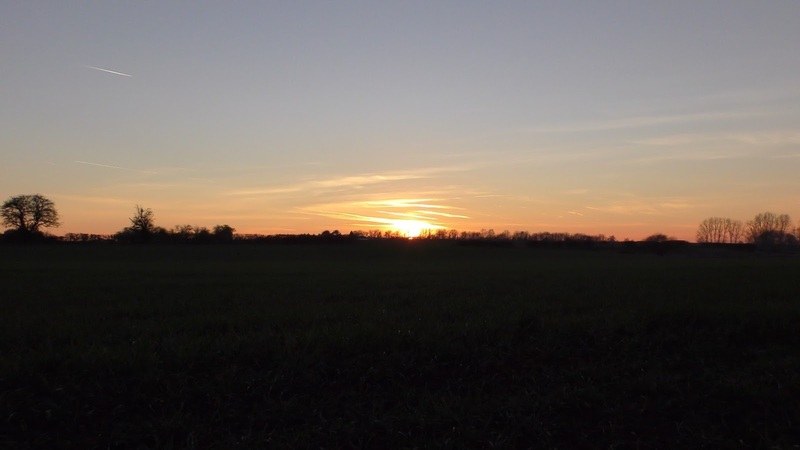 I ploughed on, setting up the rods and minimal gear I take. Withing a few minutes I was ready to cast. I turned to the water to see a dog walker on the opposite bank. Well it is the weekend I guess. He is, of course, taking no notice of his dog and is typing on his phone. The black lab, bored from lack of attention now has me in his sights, trembling in excitement on the other bank. Not a problem as I'm a dog lover and labs are everyone's friend. 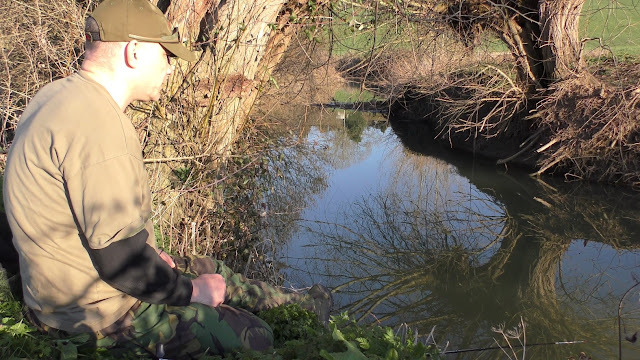 Plus he's on the other bank, some forty or so metres away (this is a very wide section of the Avon). I swing the deadbait to the middle of the river. No sooner as it hits the water Mr lab launches himself into the drink as if he is going to collect my 2oz lead for me. Bit irritating but still not a problem I think as he swims towards me. He keeps coming and keeps coming. He is now only ten metres from me and is apoplectic with the sight of all these lovely sticks floating down the river, swimming round and round in circles biting at every one he could see. It is only now that its owner notices what's happening. What does he do? Yells at the top of his lungs to the dog, over and over again until finally the lab takes heed and returns to the opposite bank. So much for my peaceful session. At least he apologises for the commotion and is on his way. By now I've really had enough. My fishing sessions are too precious to be putting up with this. I go fishing to enjoy it. It should not be a chore or graft or something to be endured. It should be a pleasure. A few hours to savour. However home is not an option on this occasion as James's arrival is imminent. 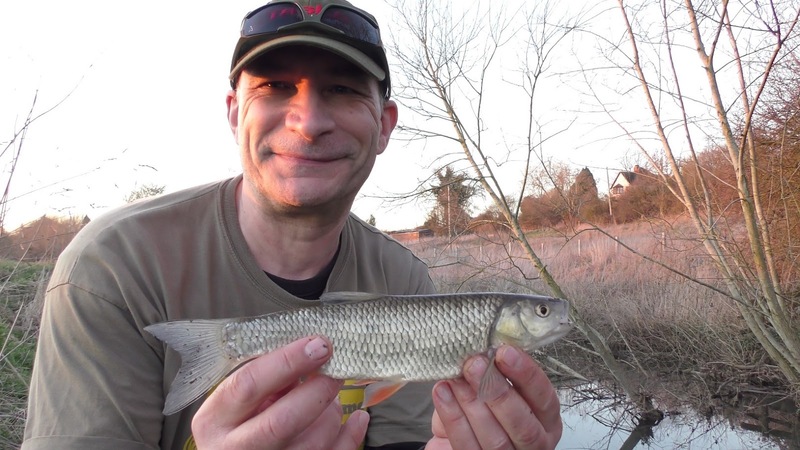 I finally get all the deadbaits into the river, rod tips sunk well under the water to avoid the worst of the flotsam but even then it was proving problematic. Oh well, they are clearly feeding. Good news. Things can't get any more infuriating can they. How wrong I was. By this time James had given up on his lure fishing, defeated by the constant stream of detritus. As we stand there chatting at about 7pm through the darkness I noticed that unmistakable shape...an otter swimming upstream in the middle of the river. It disappears below the surface right over my middle rod. OMG NO! That's that then I said to James. Last time I saw the otter here the swim died on its backside instantly. I was again tempted to knock it on the head (pun intended) and even though James was leaving I decided to give it until seven thirty. I must be mad. Seven thirty came and went with not a nibble so I started to pack up. 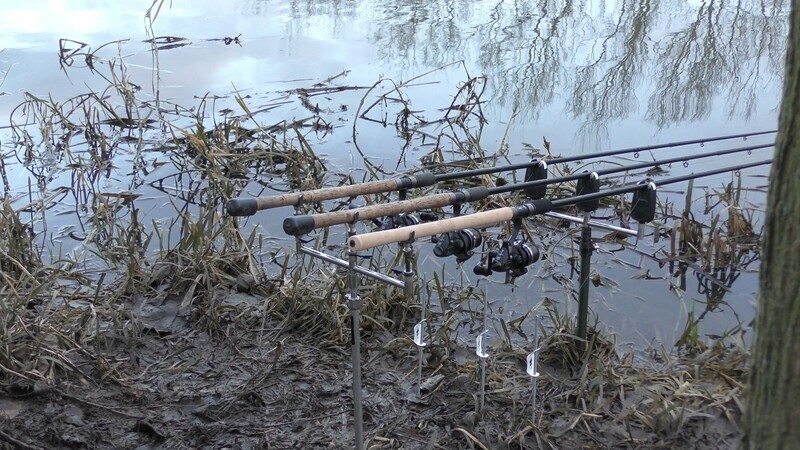 The rods were placed onto the floor, propped up on the reel handles and baitrunners engaged so the baits could be left out as long as possible in a vain attempt to salvage something from the session. 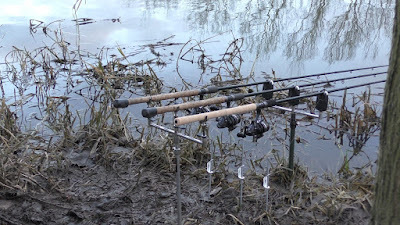 Soon all the gear was packed up aside from the landing net and rods. The first rod was wound in, packed away and the end gear stowed. Nothing from the remaining rods. Rod two followed in similar fashion. That was it, time to reel in the last rod. I walked towards it, tip illuminated in my head torch. As I bent down to grab the handle I saw the tip twitch. Once, twice then a steady pull round and the baitrunner started to click. I rapidly lifted the rod and opened the bail arm. Line fell from the spool as the fish took line slowly but steadily. "I'm off the hook" of a blank I thought, "just don't mess it up". After the evening I've had, the chance for redemption...but when to strike? Tail between my legs I trudged home. It's not over zander...until next time. 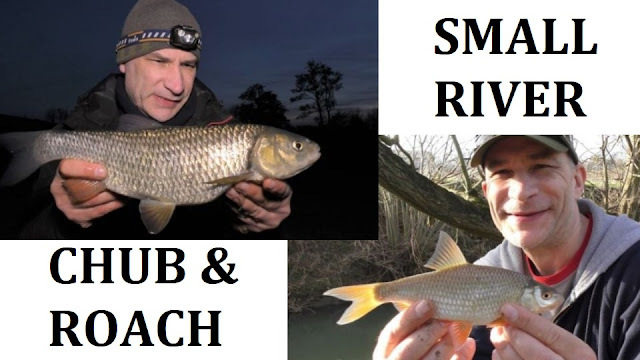 This session saw me back at the tiny tributary after the roach and chub that reside there. My name is Nic and I've been coarse fishing for over 40 years. 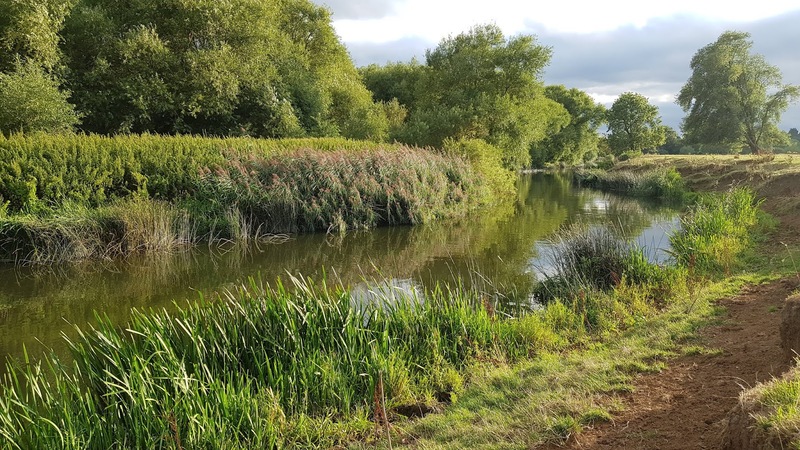 I am in the fortunate position to live on the banks of the beautiful Warwickshire Avon near Stratford and it is there that I mostly concentrate my fishing. 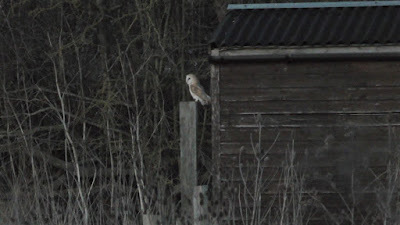 I like to target all coarse species and do so on regular short sessions, sometimes at dawn but mostly at dusk which I find the most productive time. I employ and enjoy a multitude of methods in pursuit of various species. 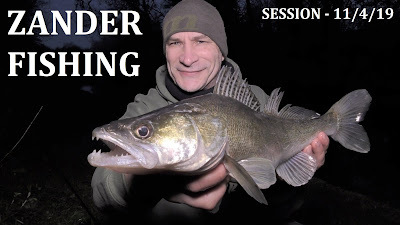 I video all my sessions and upload them to my youtube channel a few days after filming. This forms a diary of my trials and tribulations throughout the seasons. 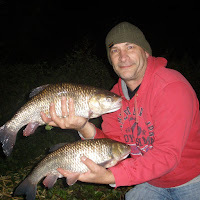 Along with my youtube channel I also have a facebook page, instagram account and website, all dedicated to my fishing. I have a young family and as a result my fishing time is limited. 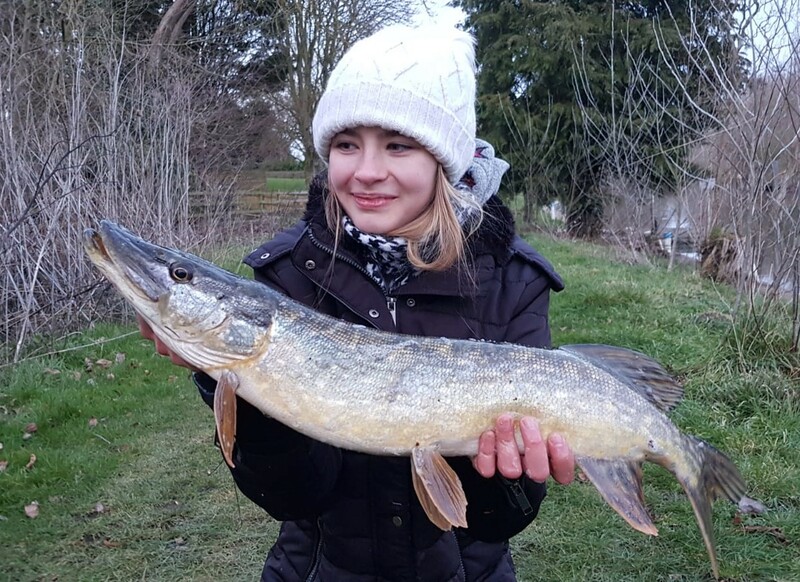 although sometimes I will be joined by my 13 year old daughter Anastacia who also enjoys fishing. I am not driven by fish size, more by the enjoyment in pursuing and catching them. I place far more importance on my surroundings and methods than on figures. The joy of my fishing is shown by the smile on my face, not the numbers on my scales. 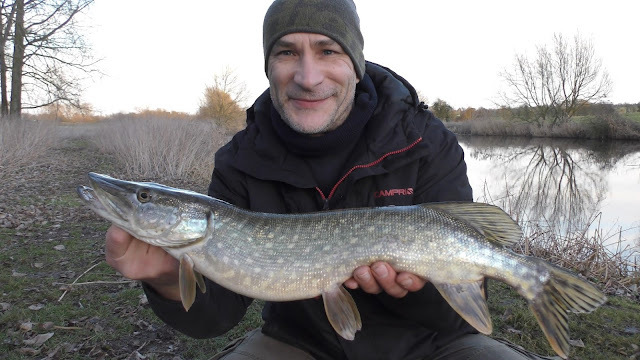 I hope that serves as a satisfactory introduction to me and my fishing and look forward to hearing from like-minded anglers and sharing experiences with you all. 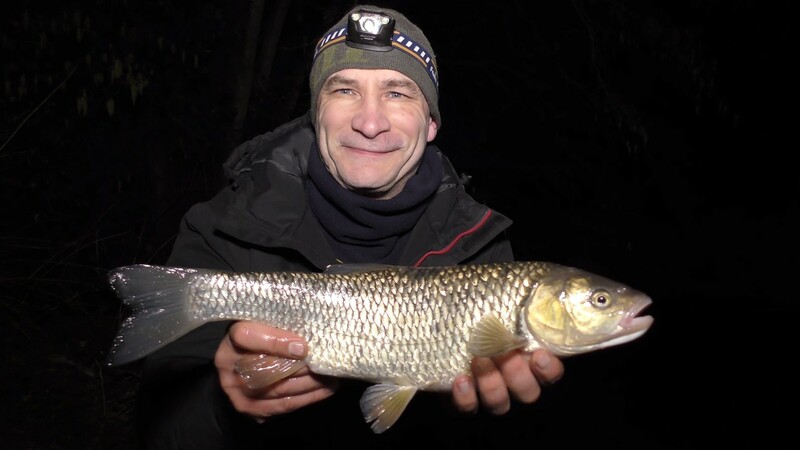 Nic Bradley, lifelong coarse fisherman blessed with living on the banks of the Warwickshire Avon. 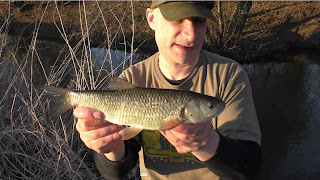 Family life dictates short, mostly dusk sessions fishing for all species. All sessions are filmed for my video diary and vlogs are posted a few days later.